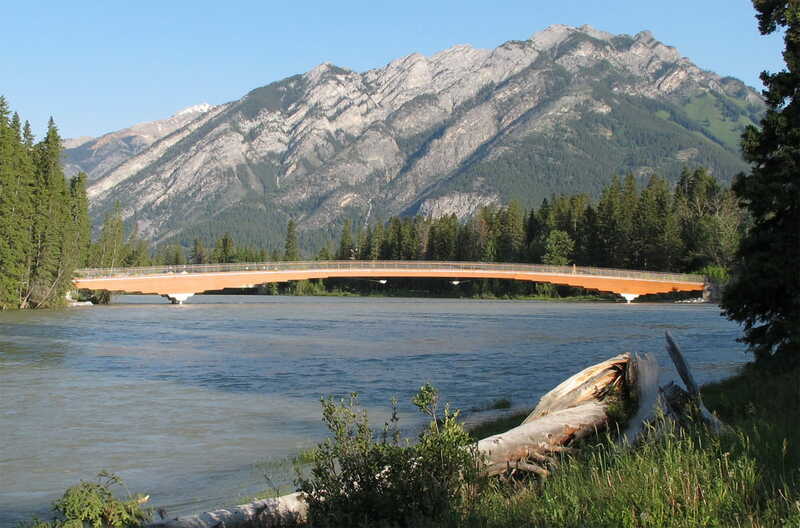 This slender timber pedestrian bridge was constructed over the Bow River in Banff. The town of Banff is Canada’s first national park located in the beautiful Canadian Rockies. 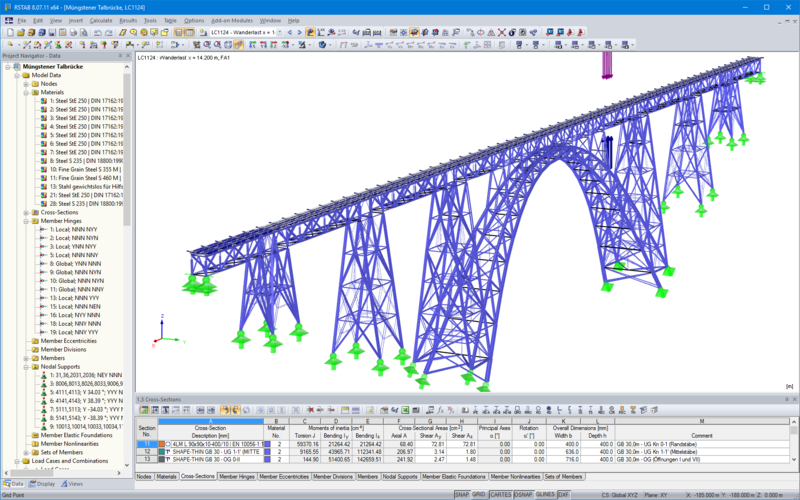 At 4 m wide and 113 m long, the bridge is complete with an 80 m clear span which is perhaps the longest of its kind for a timber bridge. The bridge construction of Isarsteg as integrating artwork fits perfectly into the surrounding landscape. 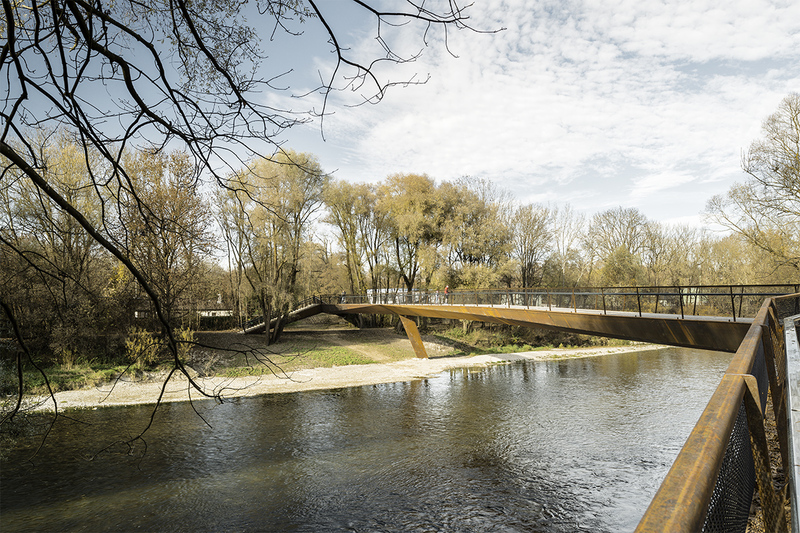 Taking nature as an example, the bridge overspans the Isar river like a branched limb. The ramps, stairs, columns and horizontal beams represent together the spatial framework. The pedestrian and cycle bridge, in total 160 m long, was made of weather-resistant structural steel S355 J2G2W (corten steel). SWE-Eurodrive GmbH & Co. KG, a German family-owned company operating in the area of drive technology, expands its plant until 2019 at Graben-Neudorf. 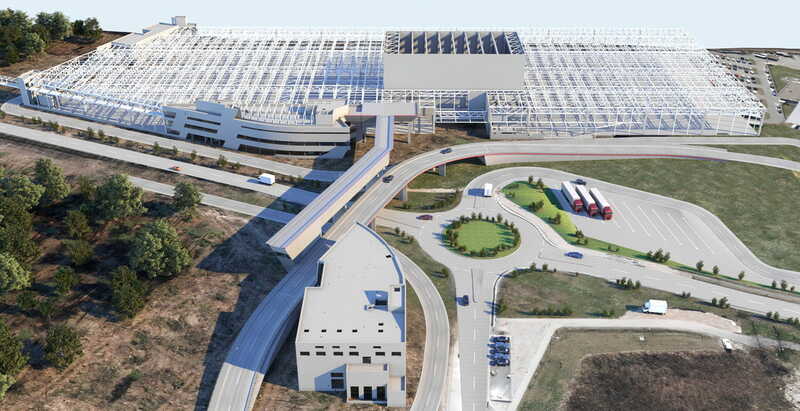 The existing plant with a size of 110,000 m² will almost be doubled. The main components of the extension is a factory building, a combined pedestrian and media bridge as well as a road bridge. The new bridge replaces the existing Hervester Bridge No. 423, which was classified as dilapidated. After the assembly at the bank, it was pushed over the Wesel-Datteln Canal step by step. A pontoon boat was used here to move the structure to the other bank. The wildlife crossing AM2 has been built with a construction method for concrete shell structures called Pneumatic Forming of Hardened Concrete (PFHC). This new method has been developed by the TU Wien in the context of the research project "Double Curved Shell Structures". 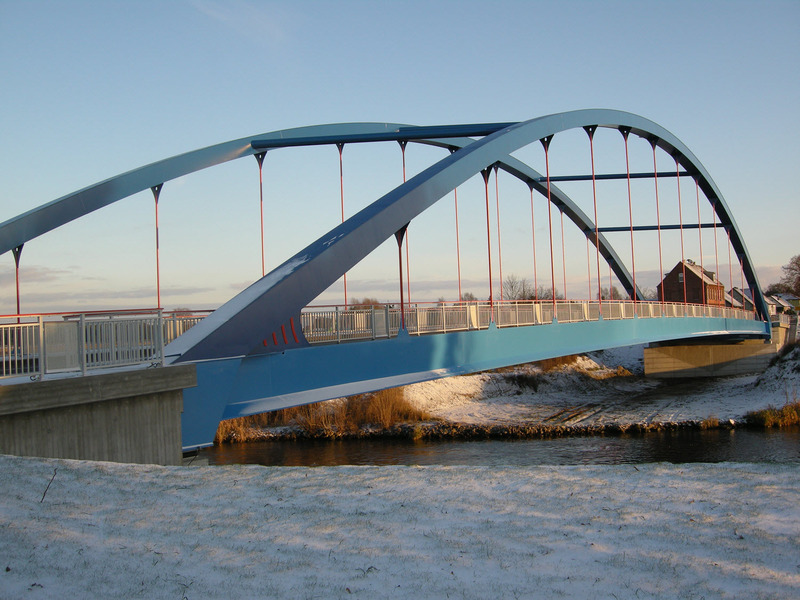 As a part of expansion works of the Elbe‑Havel Canal, the Güsen road bridge was replaced by a new bridge at the same place. The new construction was necessary because the clear width and height of the existing bridge were no longer sufficient for the waterway expansion. The Müngsten Viaduct, completed in 1897, ranks among the most important buildings in steel bridge construction in the world today. With a height of 107 m over the Wupper River, it is Germany's highest railway bridge. The design derives from the Garabit Viaduct, completed in 1884, which is located near Saint-Flour in southern France and was designed by Gustave Eiffel. 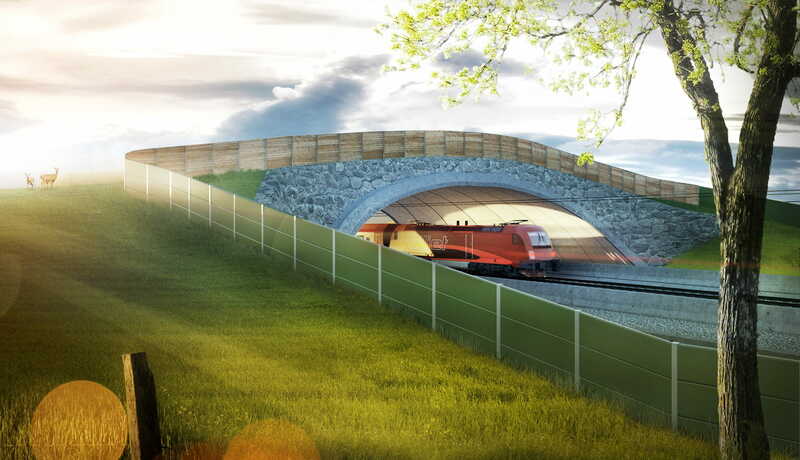 Starting in 2018, an architecturally appealing tied‑arch bridge will arise in Münster, Germany. 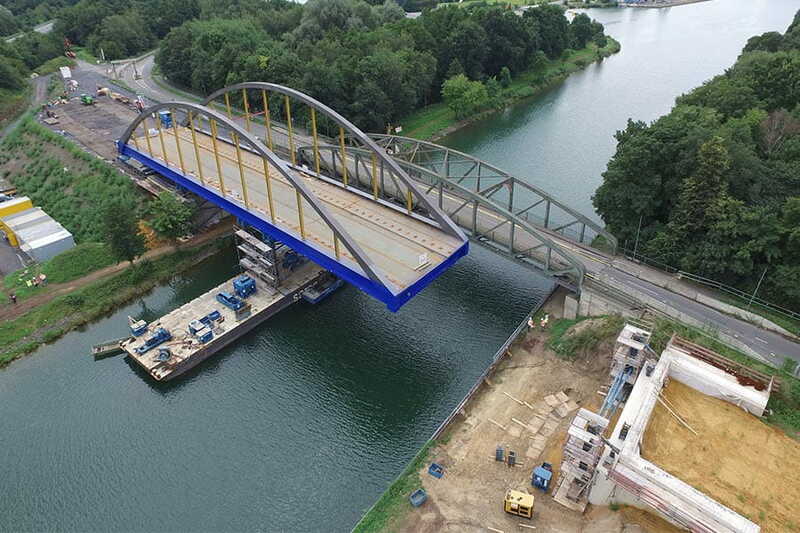 The new road bridge will be built over the Dortmund‑Ems Canal with a span of 67.20 m. It will replace the existing classic arch bridge, built in 1957, which is 5 m less in span length. 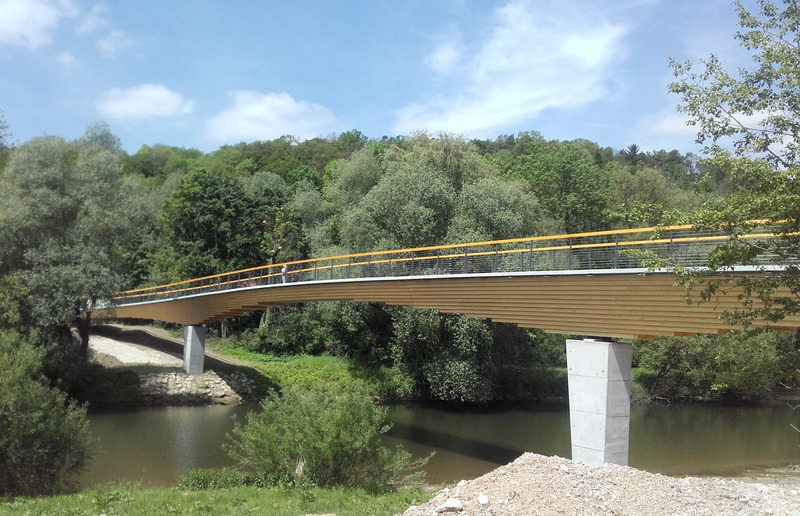 The S‑shaped pedestrian and cycling bridge with the straight middle section across the Neckar river in Neckartenzlingen, Germany, has a total length of 96.30 m and a width of 3.00 m.
Since May 2013, a new S-shaped pylon bridge meanders across the Agger river near Lohmar, a town in West Germany. Due to its curving shape, the bridge reflecting the course of the river is perfectly integrated into the landscape.